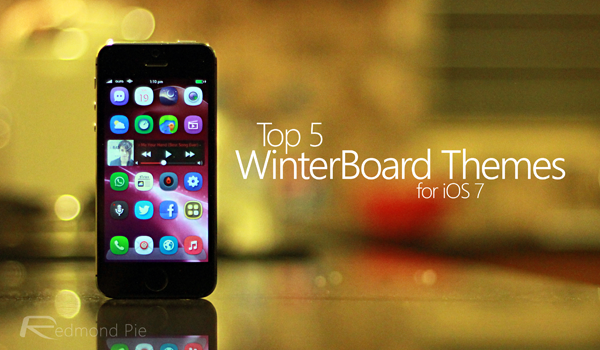 Top 5 Must-Have WinterBoard Themes For iOS 7 That You Need To Try Right Now! 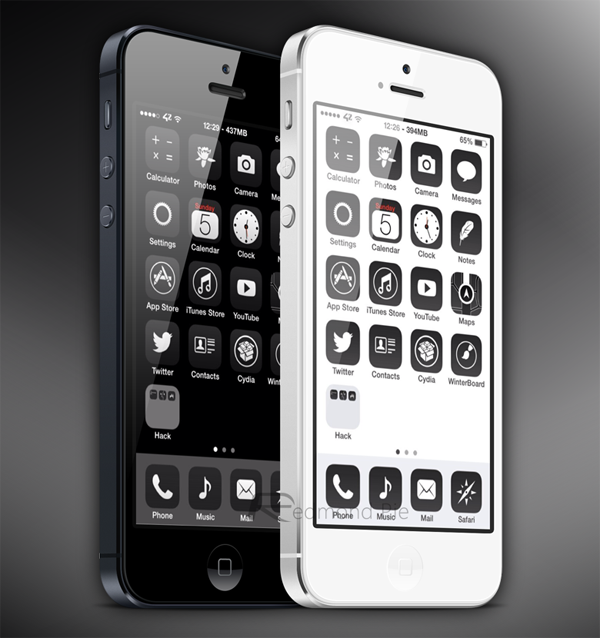 There are thousands of themes available on Cydia. But not all of them are worthy of your hard earned money. Here we have compiled a list of our top 5 WinterBoard for iOS 7 themes that we think are worthy of running on your jailbroken iPhone, iPad or iPod touch. Aura is quite simply one of the most beautiful, but elegantly understated themes that we have seen. There’s nothing fancy or over-the-top about Aura. It doesn’t try to entirely revamp every single aspect of iOS, but what it does do is introduce a minimalist interface with support for stunning new icons – both third and first-party. Unsupported app icons are masked, as you might expect from any modern theme, and Aura ships with a number of unique wallpapers and a redesigned Wi-Fi icon that sits in the status bar. 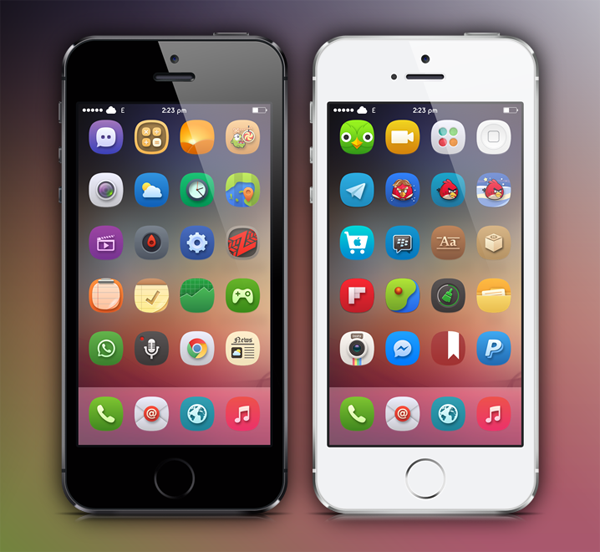 Aura is available to download from the ModMyi repo and costs $1.99. 0bscure7 for iOS 7 is a theme that lives up to its name by stepping away from the normalized design conventions that seem to be littered throughout most WinterBoard themes. The theme is most notable by its lack of color, choosing instead to offer white on black, or black on white variations that are tinged with the odd dash of color here and there on icons. Not exactly the most adventurous theme that’s out there, but definitely one of the most daring, and in all honesty, one of the most beautiful. 0bscure 7 is available to download from the ModMyi repo and costs just $0.99. There’s no denying that Solstice is an extremely beautiful representation of what a user-interface should look like, but it’s also one of the quirkiest that we’ve come across in its implementation. All stock Apple app icons are amended to suit the look of the theme, but rather than applying nasty drop shadows to the icon base, the designer behind Solstice has opted for a different method that includes taking the icon detail and applying long shadows to give the feeling of depth. Over ninety third-party apps are supported by Solstice, with more being added weekly. Solstice is available to download from the ModMyi repo and is free. If you’re new to theming or want to try a different look, then Flat7 is the way to go. Every single first-party app that ships with an iOS device has benefitted from an overhaul. The visual formatting that has been applied to the stock icons has also been provided to an expanding list of third-party apps to ensure that the "flat" look is consistent throughout the whole interface. 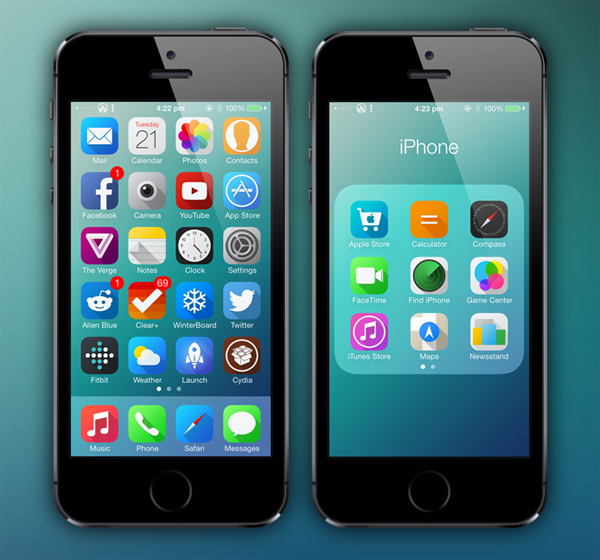 Flat7 is available to download from the BigBoss repo and is free. Ayecon shouldn’t really need any introduction as it has long been thought of as setting the example for iOS theming. The theme features a plethora of highly detailed, pixel perfect icons and was released days after the iOS 7 WinterBoard compatibility update. The latest version of Ayecon stays true to its previous skeuomorphic roots and doesn’t try to reinvent itself to "fit in" with Apple’s implementation of iOS 7. With over 100 individually crafted icons, an icon mask, a glossy elegant dock and a custom status bar design, Ayecon still leads the field when it comes to WinterBoard themes. 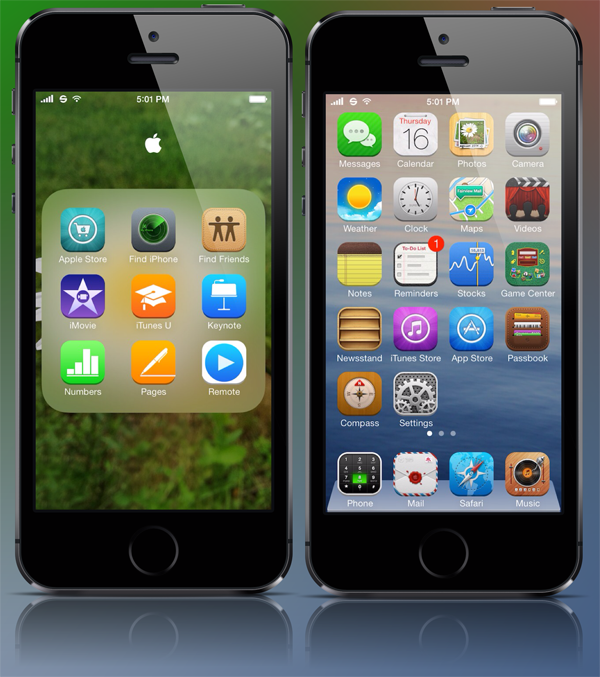 Ayecon for iPhone and Ayecon for iPad for both can be downloaded from Cydia. 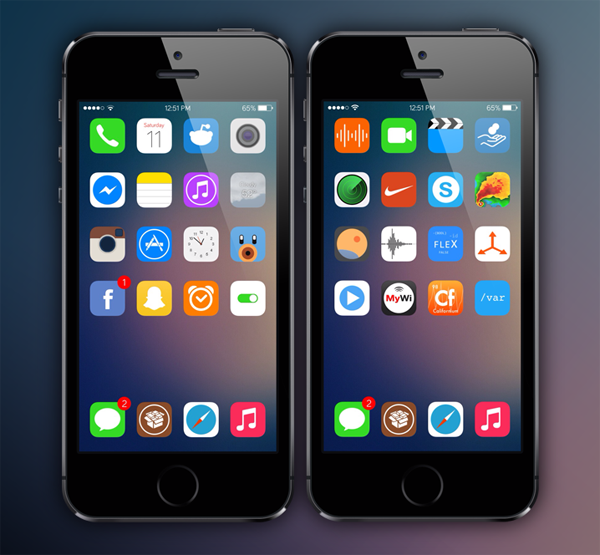 Ayecon for iPhone can be downloaded from the BigBoss repo and costs $2.99.